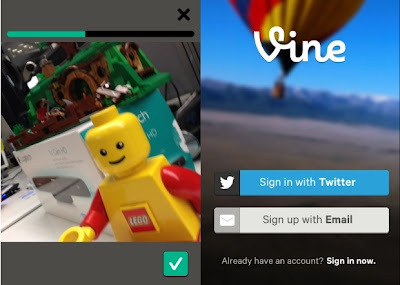 Vine App from Twitter is the next 'IN' thing in social media. - Hello! Welcome to my blog! Vine App from Twitter is the next 'IN' thing in social media. Came across this app during one of our blog events, Az and Enzo was using the new app craze called Vine. You could say that I was intrigued and they went on explaining to me what Vine is. To be able to post a 6 second video instead of a photo now that's gotta worth like a million words right? First off, I think that this is a good move for twitter to buy the Vine app. Love how Twitter was able to incorporate it on their platform. But here's the thing, it's only available in iOS devices... for now. After doing some lazy searching, here's what I got. Vine supports iPhone 3GS and higher. So if you're an iOS user and want to get the app, get it here. I've installed it on my old 3GS and my new iPad. Yeah, I'm getting the hang of it. Here's a sample Vine post of Azrael & Juan Manila during the New Orleans Food event. Oh, Just a few moments ago, Vine has been given an adult rating on Apple's store. It has increased to 17+ which is the highest option. It was first rated suitable for 12 year-olds but there has been a stream of complaints that some six-second posts are pornographic. Now, there will be a prompt confirming that you are old enough to use this app. With this app coming out, we can all see it's potential in increasing social experience online. I can also see brands coming out with witty and creative 6 second bits to promote for the products that they use and because weilding something awesome like this comes also a great responsibility. To not use it for the bad is something that we all must learn to practice proper use of these social media apps.